Joshua Hren teaches and writes at the intersection of political philosophy and literature and Christianity and culture. He also serves as editor of Dappled Things: A Quarterly of Ideas, Art, and Faith, and as Editor-in-Chief of Wiseblood Books. Joshua has published articles and poems in such journals as LOGOS, First Things, America, and Presence, and short stories in a number of literary magazines. His first academic book, Middle-earth and the Return of the Common Good: J.R.R. Tolkien and Political Philosophy, was published in 2018, and his first collection of short stories, This Our Exile, received an Honorable Mention in the 2018 Christianity and Literature Book of the Year Award. ﻿Angela’s course of study in graduate school emphasized British poetry and prose from the Romantic period through to the early Moderns, with a particular focus on the Victorian novel and vampires. She left a lucrative career in academia to home school her son, during which time she worked as an editor, created and maintained two blogs on creativity, writing, and beauty in everyday life, and taught composition and literature for a private home school academy. She continues to write essays, is in the process of revising her first novel and has started work on her second. Angela has worked in publishing for many years and continues to freelance for private clients on a variety of projects. Our young squire recently received his Joint Masters in Philosophy and Theology from Boston College and is currently working on his ThM degree. 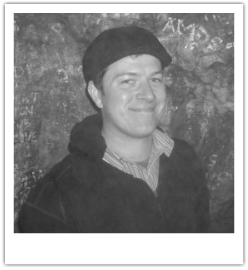 He was the '12 classical studies editor for Vexillum: The UW Journal of Classical and Medieval Studies and the '14 Junior Editor for Athos: PSU Honors Journal. He wrote his senior honors thesis on the fiction of Walker Percy and modern identities. Chaz, our house's Midwestern soul (but with one foot in Ireland), received his Masters in Catholic Studies at the University of St. Thomas, having written his thesis on Marshall McLuhan's theory of Tetradic Analysis and the Global Village. Editorially, he has served as a freelance editor for Angelico Press, the University of St. Thomas, and various individual authors.